Have you ever tried IT Cosmetics? If you haven't, you absolutely should. IT, (short for Innovative Technology) Cosmetics started back in 2008. It was the brainchild of CEO Jamie Kern Lima and her husband. The duo worked with a team of dermatologists to develop the brand, which blurs the line between makeup and skin care and addresses a number of common skin concerns. 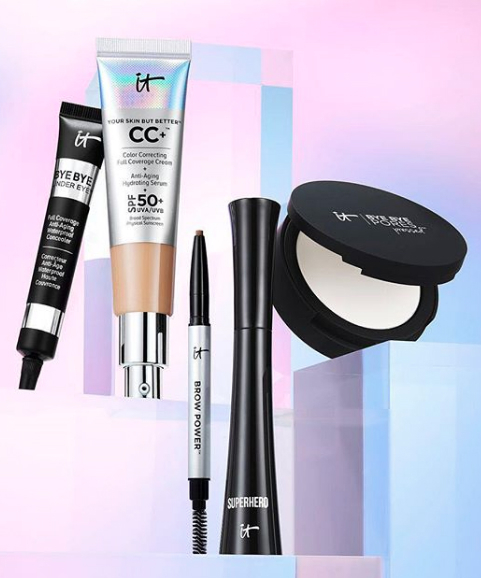 Sales began to take off after a spot on QVC and now the brand can be found in Ulta and Sephora — the brand's CC cream can be found under foundation best sellers on both sites. IT Cosmetics produces many game-changing products because its foundation really is skin care. Every step (be it skin care or makeup) is infused with hydrating, soothing and anti-aging ingredients. Think of the makeup as a way to heal and improve your skin, not just a mask or a quick fix. If you struggle with acne, redness or sensitivity and have a hard time finding makeup that doesn't worsen symptoms, you'll definitely want to give IT a try. The constantly expanding line has so many hero products to note. Check out our 18 favorite IT Cosmetics offerings, ranked, and try them out for yourself.